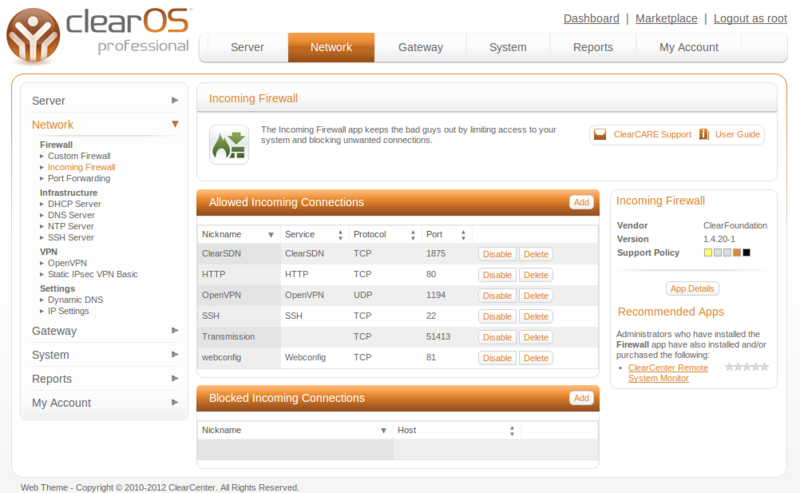 The Linux firewall app allows administrators to simply open ports (or port ranges) for services running locally on the server. If a service requires connections from outside your network to be made (i.e. 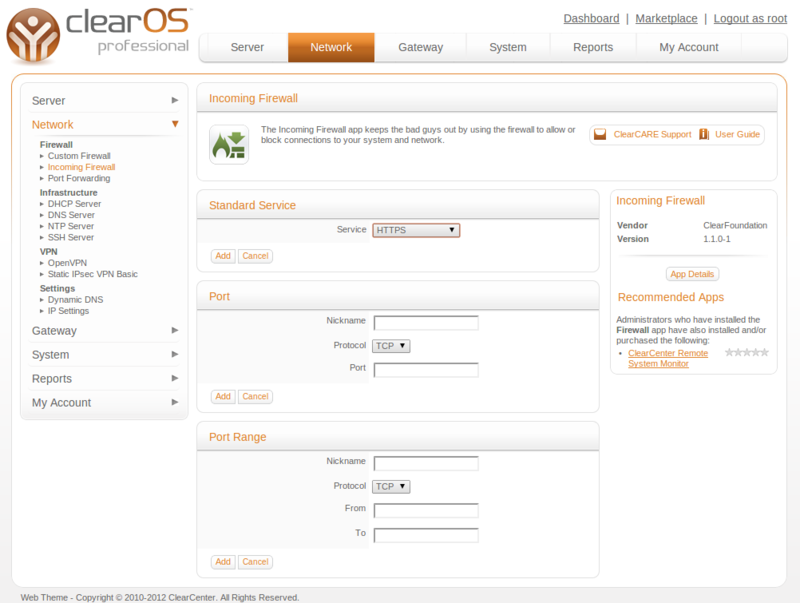 running a web or mail service on a system configured for gateway and server), a corresponding port or port range will need to be added through this app. 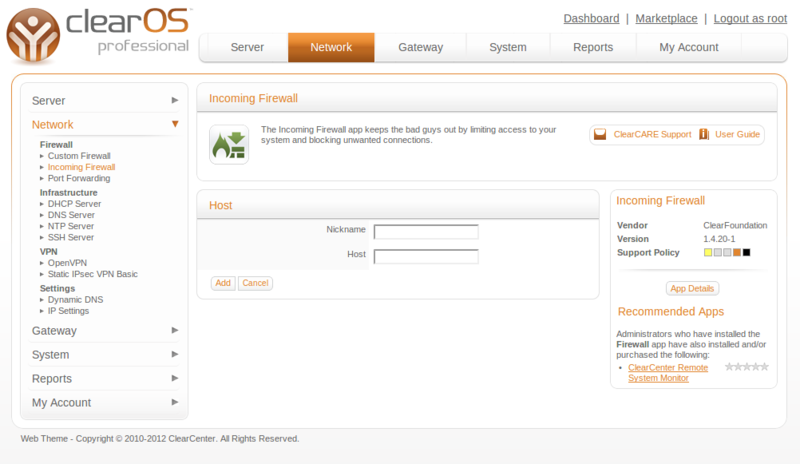 Available in 64-bit version with clean, functional web GUI, the Opensource firewall comes with lots of features & plugins that make it much more than just a firewall. Enjoy enhanced network security on free version, and enjoy automatic updates and many more features in commercial edition. 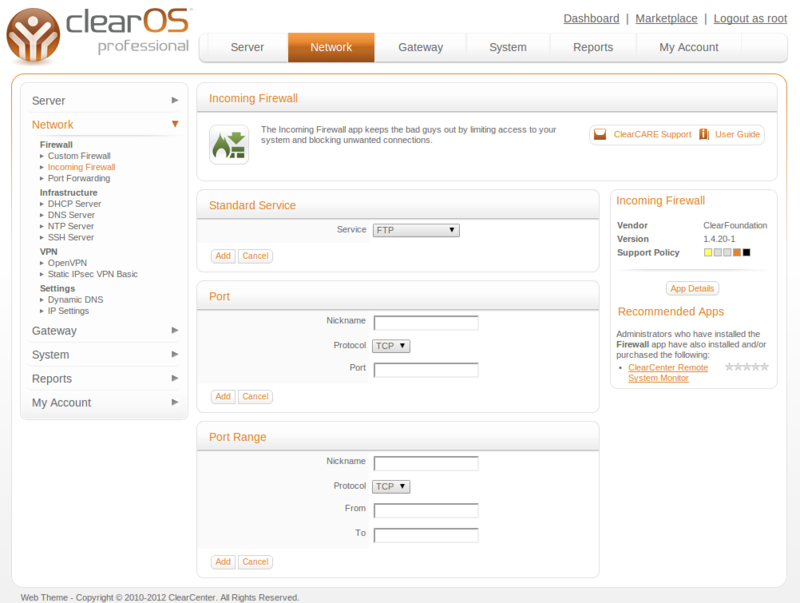 It provides standard functionality with the ClearOS interface and also allows you to add custom firewall rules to enhance the protection. 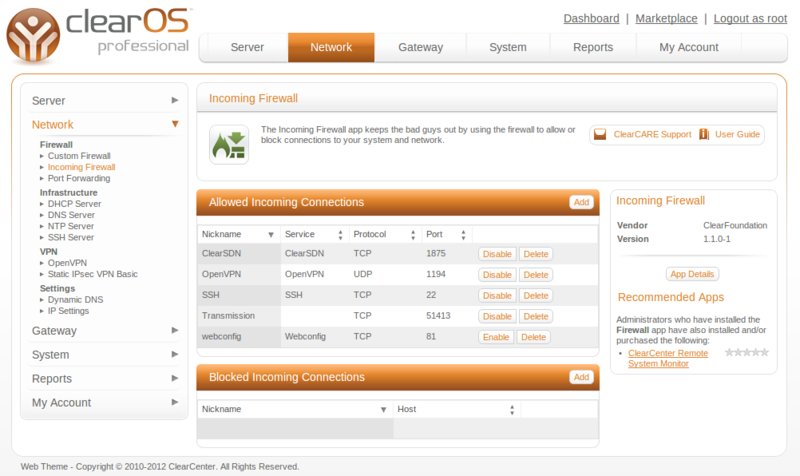 The Advanced firewall tool can be used to create special firewall rules. For instance, you can use this tool to allow connections to webconfig from the Internet – but only from a particular IP address. Get it now for free from ClearCenter Marketplace.